Yoga is for EVERYONE… YES! this means YOU! I first started doing yoga when I was about two years old. My Mom, who has always been a huge inspiration for me, especially in the area of healthy living, would watch an old yoga program on TV and I would follow along. I still remember how she would tell me the names of the postures, I especially liked the ones with animal names because we would make sound effects as we did the poses. I still like to “moo” at the cows when I drive by them on my way to Anamaya. This example just goes to show that there is no lower age limit on yoga , a great friend of mine is pregnant and her ultrasounds are showing her baby doing yoga poses in the womb! The same goes for people in “third age” or senior citizens. Even if you are wheel chair bound, or in bed, there is always something you can do to improve your physical, mental or spiritual state. 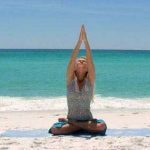 There are many different styles of physical yoga practice, ranging from a vigorous vinyasa flow class to a deep yin practice, to a simple sitting meditation. It is not necessary to be in top physical form to practice yoga, in fact, practicing a gentle stretching style of yoga such as a basic hatha class will help increase your physical fitness to further your practice and also make life more enjoyable by feeling better in your body. Yoga is also great as a stress relief and connection to your spiritual self. I will talk more about that aspect of yoga in a later blog, but just be assured that you need not be a bendy pretzel to practice yoga! Here at Anamaya, many people come to do a yoga retreat and bring along a spouse who isn’t interested in yoga. It’s always interesting to hear about why they think they can’t “do” yoga. There are a million reasons why one might not think yoga is for them. There are also a million different reasons why people think yoga IS for them. The fact is, that maybe everyone will not enjoy yoga or believe they can benefit from it, but if you are interested and you think you CAN’T do it, yes you can! I encourage you to try out a few poses, watch a video of a basic yoga class and try following along. You are sure to feel great afterwards and perhaps ambitious enough to try out a class at your local community center or yoga studio. 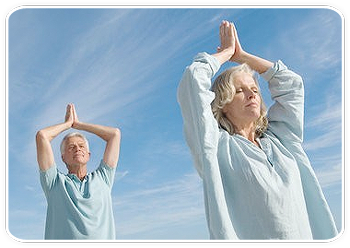 The key is to remember that everyone can benefit from yoga, and if you enjoy it, do it! Your body, mind and spirit will thank you.